The H&S Tool split-frame machine design is a unique combination of accuracy, strength and ease of handling. This engineering minimizes weight while maximizing strength and rigidity with a quality aluminum body. The patent protected pocketstyle motor mount eliminates motor twisting and ring gear damage. The mount also allows you to switch between the pneumatic, electric and hydraulic motors without the need for conversion pieces. Conventional motors are also used on the front drive adapters eliminating the need for secondary motors. 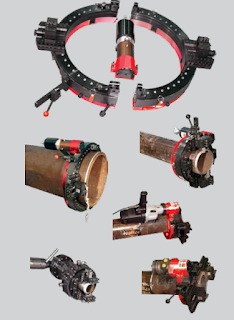 There are three series of H&Ssplit frame pipe machining tools to meet the demands of your specific project.Our MFC small diameter series has big performance and reliability for materials from .625" to 2.625" O.D. (15.9 to 66.7 mm). 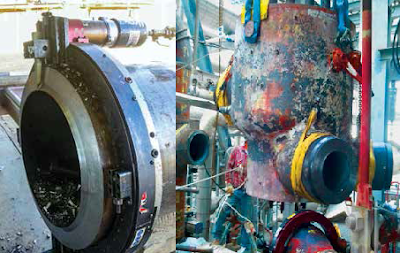 The versatile AFC series cuts and forms pipes from 1" O.D. to 48" O.D. (25.4 to 1219.2 mm).Our heavier duty BFC series features a thicker body to withstand the high torque required for heavy wall pipes in large diameters. They are available for pipes from 22" to 86" O.D. (558.8 to 2184.4 mm). 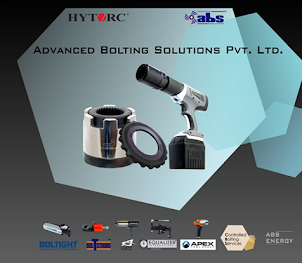 We constantly seek to minimize your overall investment by utilizing a high percentage of parts interchangeability and by reducing the number of extension pads necessary to achieve the full working range.From every point of comparison, H&S Tool field machining pipe tools are designed for greater productivity, reliability and economy.